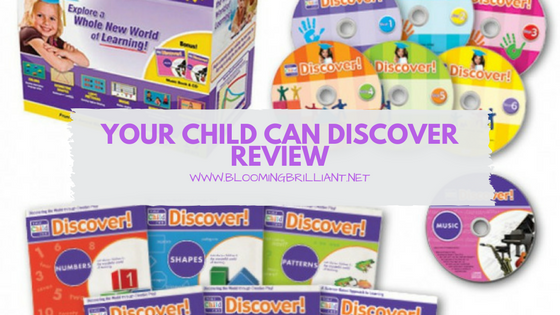 Your Child Can Discover is from the Infant Learning Company, the same company that brought us Your Baby Can Read! or more recently (2018) Your Baby Can Learn. After being catapulted into the forefront by stories of lawsuits. The company Your Baby Can, created a new product called Your Child Can Discover. We have been big fans of the Infant Learning Company, first purchasing the Your Baby Can Read series which both of my children ended up using and loving. Isabella loved watching Your Baby Can Read and even my son, Anthony enjoys watching these DVDs and playing with all the cards and books. Both children love reading books and the youngest often revisit these books. Isabella will even join him and look through the books with him. Isabella loved the series so much and learned so much from it, that we ended up purchasing the Your Child Can Read set. Both kids have now enjoyed the Your Child Can Read series. When I first purchased this series I was nervous about whether it would be good or if my daughter would like it. But we ended up loving it as soon as we saw them. The added benefit was that I was able to use all these series with her younger brother. The quality of Your Child Can Read and Your Child Can Discover is even better then the Your Baby Can Read series. My daughter and son also enjoyed the mini books from the Infant Learning Company. I guess overall you can say we are big fans. Your Child Can Discover series is a high-quality production introducing babies, toddlers and elementary aged children to math, art, poetry, reading, shapes, and music. This series includes 3 DVDs called Your Baby Can Discover, 3 DVDs called Your Child Can Discover a Bonus Music CD which teaches children musical note recognition and musical instrument recognition. 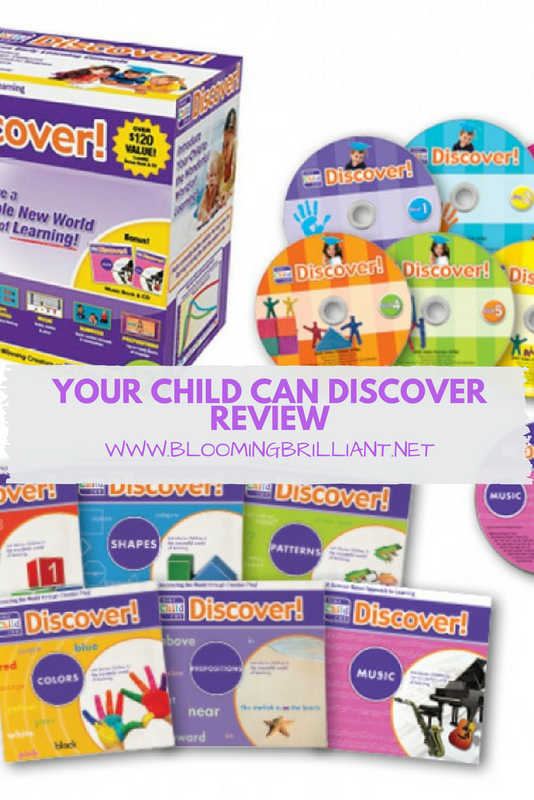 Along with A Music Book and 6 other Your Child Can Discover books. The DVDs in this package are a great quality and the content is wonderful. I love the way the music is done as well. We used to use the Trebellina DVD but We love YCCD so much more as there are no silly toys dancing around, it is much more content focused in a fun way. It also demonstrates some fun ways to play while learning. I highly recommend parents watch with their child and take some of the games they play on the screen off the screen for real-life play. Have you used any of the Infant Learning Company products? What did you think of them? Let us know in the comments below. This blog post has been recently updated in 2018. We are not affiliated with the Infant Learning Company. These are our own honest opinions of the products. I agree, we absolutely love them too. The only thing that wasn't a big hit was the music CD. I am thinking it will work better when he is older. I am glad to hear you say you liked the YCCR discs, because I am planning on getting them eventually. I did get Your Baby Can Speak Spanish and returned it because I hated it (I grew up speaking Spanish as well as English). I was just talking to my mother who has been a kindergarten teacher for over 20 years…She is not biased against learning videos esp since she helped my sister years ago with hooked on phonics for some issues she was having but she did tell me to be wary of the YBC videos. She recently had a student who came into her class and couldnt read at all. Now the kid is in 1st grade and she was so impressed at how the next september the child could now read. She asked the mother what did she do to help with his reading and the mother suggested YBC videos. My mother thought it was fantastic until one day the childs new teacher realized through not only testing but one on one that Yes the child could read and identify a sight word but he COULD NOT COMPREHEND what he was reading. The child could read letters but had no reading comprehension. So Just a word of advice to all just make sure as your child can read that they can also comprehend what they are reading as we all know reading comprehension is extremely important! I have used the YBC for both of my daughters and it has worked wonderfully. It is not all that we do for reading. We read together everyday and i label many things around the house. My six year old was tested this year for reading and comprehension and passed at a 5th grade level. my 22month old is reading many words already. she can read some level 1 readers and seems to understand. YBC are great learning tools, but that is what they are a tool. One part of a learning process and way better than letting them just watch whats on TV. I also use Rock'nlearn and the "meet the" videos to help my kids. I have the Your Baby Can Learn DVDs and I have to say I love them as does my baby. I also have the DVD in Japanese and am waiting for the Chinese (Mandarin) version to come out as my daughter is Chinese. We don’t use the books or the flashcards as I am more interested in her learning spoken words. We read children’s books every day together and she has developed a love of books too. But the DVDs are really great and when I pop it in the player, her eyes light up. She dances to all the songs and follows the actions of the children. I will have to look more into Your Child Can Discover. I did see these on the Your Child Can Learn website but didn’t take much notice. Do you play them everyday? I don’t want to overwhelm her or have her watch too much TV. Hey! We love all their products. We used Your Baby/ Child Can Discover when they finished with Your Baby/ Child Can Read DVDs.